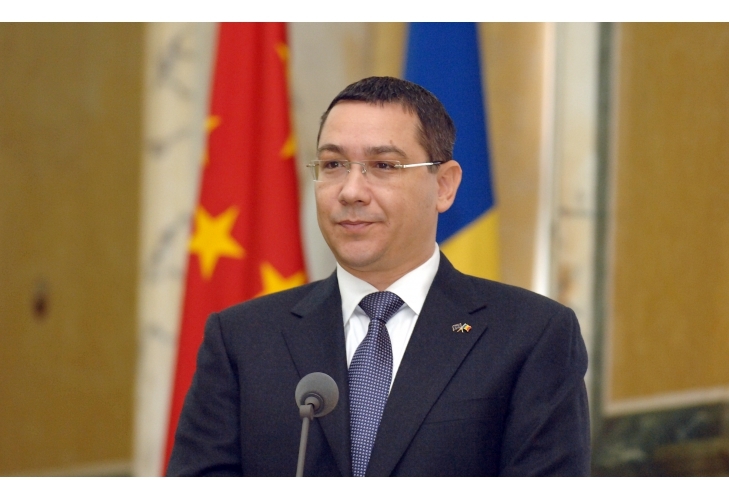 Victor Ponta: Madam Ambassador, Ministers, distinguished representatives of the two companies, welcome to the seat of Government! In ordinary circumstances, we would have signed the agreement and I would be present even at Rovinari. I wanted, however, on this occasion, to mark some very important things for Romania, namely our ability to have a power production system primarily efficient, independent and competitive. 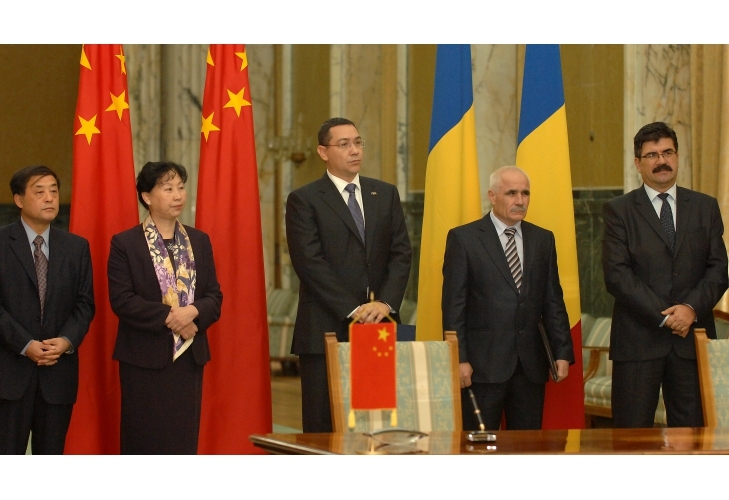 Few remember that in early 2012, Romania was in a deep economic and social crisis. The most serious crisis, however, of the early year 2012 was less visible and was the energy system crisis. Coal power producers and companies "Oltenia" and "Hunedoara" were very close to bankruptcy and to be closed down. Hidroelectrica was destroyed by unfavorable contracts with the "smart guys" and brought virtually to bankruptcy, listing procedure at Nucleareletrica was deferred, and there was no project for the construction of units III and IV. 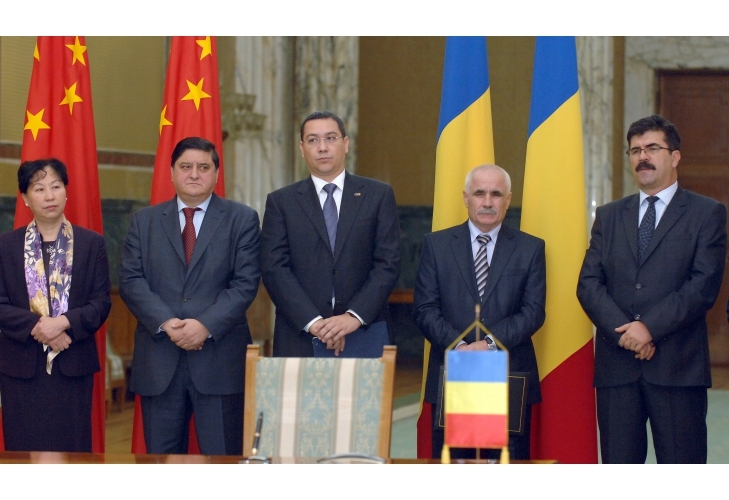 In addition, subsidies provided for renewable energy entailed practically the destruction of other types of power generation and an uncontrollable growth of all energy costs in Romania. Just two years after, for the Romanian industry and the population, things changed for the better, electricity prices are lower and our production capacity and export exceeds everything we imagined in 2012. 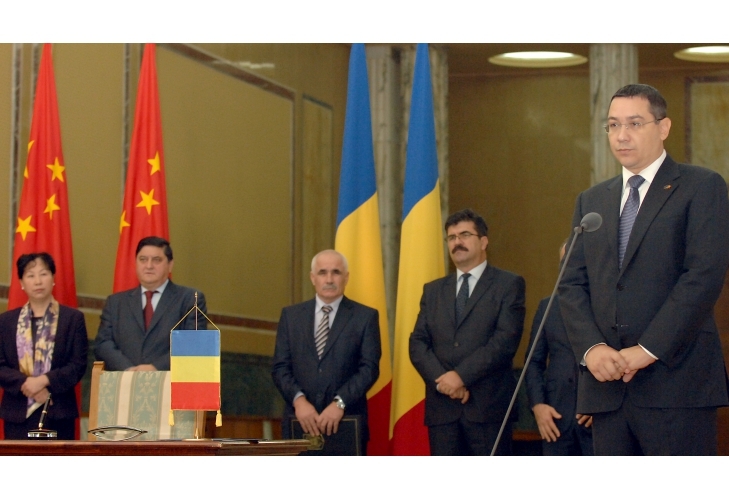 The fact that Romania has the third consecutive year of economic growth, the second year of significant growth in industrial production and exports is due to these positive developments in the energy field. In order to maintain this positive direction, new investments in energy are needed and mostly a smart and realistic strategy. Romania must use its extraordinary potential, producing both hydro, thermo, coal, nuclear and renewable power. Those who say that we must abandon completely the thermo power and rely only on renewable, do not know the economic situation of Romania. And the Government will support all investment in developing and upgrading thermo, hydro and nuclear power producers. For it to happen, we need partners with extremely high financial and technological capacities. I wanted to welcome this project at Rovinari, which implies an almost 1 billion USD worth investment. Yesterday, I visited the Hunedoara Energy Complex together with two Ministers and we know how important the technological revamping project will be – 270 million EUR for the revamping of a group at Hunedoara Energy Complex. 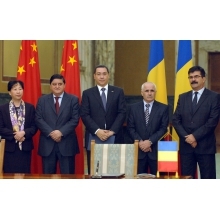 I know how advanced is the project on group III and IV at Cernavoda in which the selected Chinese investor will invest more than USD 4 billion. And I was glad to find out that we have many interested competitors who entered the procedure for Tarnita power plant, and more than 1.5 billion euro investment. If we add only these four investments in energy, we reach the figure of USD 7 billion, which we announced as a power investment objective one year ago, in this room, along with Prime Minister of China, Mr. Li Keqiang. There are other major investments in the energy, both electricity and gas. 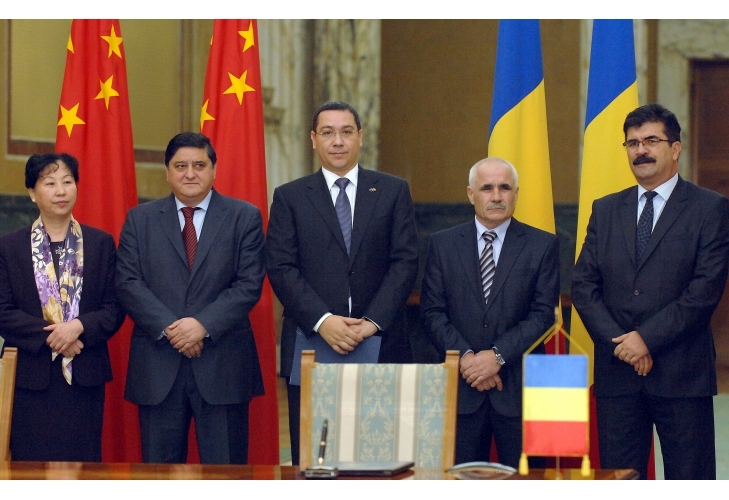 That means that in less than three years, Romania has moved from a country virtually in energy bankruptcy to the stage of the country in the region that has the most independent and competitive energy system. And this position is essential for all investors in all economic fields, because they all need safe and cheap energy. So I want to thank the two companies that start this project, I want to assure you that Government will entirely support- - all energy development projects, we will observe all European regulations, but we seek to promote the interests of companies in Romania, and Romania will be, together with Poland, the most important promoter of the initiative to have an EU Energy Union. I wish you success with the investment! 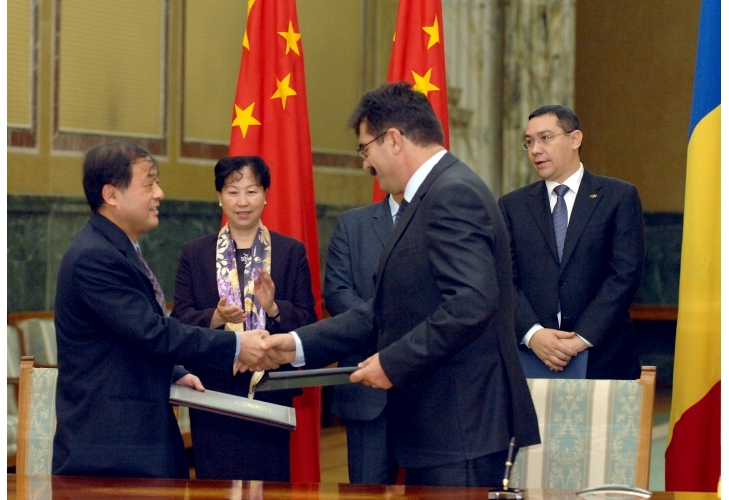 I thank the partners in China and I wish good luck to Oltenia Energy Company! Together with the Director Ciurel, we are the ones who took a company from bankruptcy and we can say that it is one of the companies that are essential for Romania's energy independence. 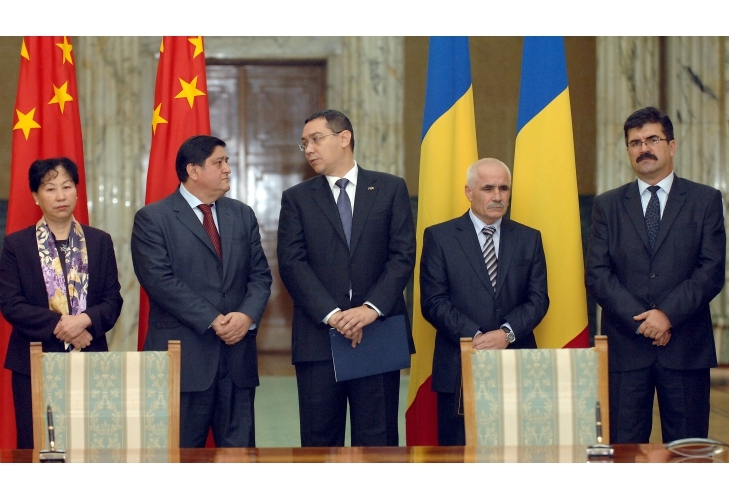 And certainly the year 2015 will be the best for energy development in Romania. Thank you!